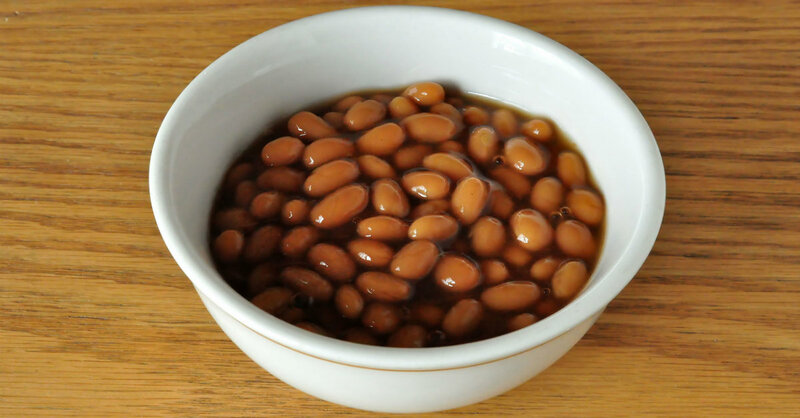 Host The Ultimate Tailgater With These Classic, Slow-Cooked Beans!! Baked beans are a year-round staple for us and, while we love trying out different types, the classic Boston variety is our absolute favorite. Here, we’ve perfected the flavor and come up with a way to make them easily in the slow cooker; now you don’t have to wait around while they cook in the oven – all you have to do is throw everything in together and turn on the power! We’re telling you, it doesn’t get any better than this, so check these bad boys out! After beans have spent the night soaking, drain them and set aside. In a large saucepan, combine molasses, brown sugar, rum (if using) and mustard with 3 cups water and cook over medium heat until sugar has dissolved and mixture is warmed through. 6-8 minutes. Place bacon cubes in the bottom of slow cooker and poke cloves into your peeled onion. Add onion to slow cooker and pour drained beans on top. Pour molasses mixture over the beans and season liberally with salt and pepper. Cover slow cooker and cook on LOW for 6-8 hours, or until beans are tender. Note: stir beans occasionally and add more water, if needed. Remove onion and serve beans, with or without bacon…enjoy!